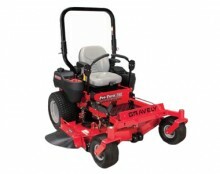 Professional-grade features are available with this Gravely Pro-Turn260 60 inch Zero Turn Mower. Featuring an impressive 24.5 HP the Kawasaki engine gives you all the power you need for quick mowing jobs. Reach speeds of up to 13 mph to finish your job quickly with the Dual Hydro-Gear ZT-5400 Transmission. Choose between 17 different cutting positions ranging from 1.5-5.5 inches. And, get operator protection from the foldable ROPS system. Kawasaki FX751V: Reach an impressive 24.5 HP and 852cc with this professional grade Kawasaki engine. Dual Hydro-Gear ZT-5400 Transmission: Breeze through lawns at speeds of 13 mph with the durable Dual Hydro-Gear ZT-5400 Transmission. 60 inch Fabricated Deck: Durability and long-lasting performance is available with the 7-gauge steel deck. Full-Suspension Seat: Reduce operator fatigue and get all day comfort with the full-suspension seat that absorbs vibrations and bumps. ROPS: Protection to the operator is available with the ROPS that can also be folded for tight spaces. Height of Cut: Choose between 17 different cutting positions ranging from 1.5-5.5 inches to get the perfect cut every time. 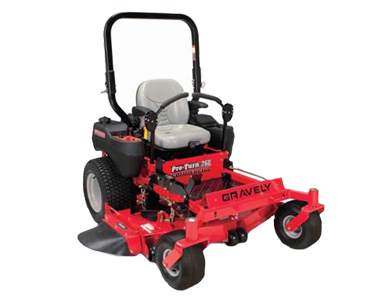 Click the button below to add the Gravely Pro-Turn 260 60 inch 24.5 HP (Kawasaki) Zero Turn Mower to your wish list.